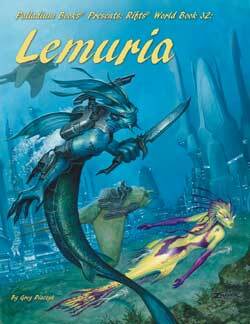 UPDATE: Rifts® World Book 32: Lemuria – shipped today! Yes, you read that correctly. The softcover edition of Rifts® Lemuria arrived early, and as promised we shipped out pre-orders pronto. The book looks awesome, and those who have seen it love it. AVAILABLE NOW. Have you placed your order? The two Megaverse® Insider hardcovers ship April 20 (same day as The Rifter® #58). Sorry, available only to Megaverse Insiders. 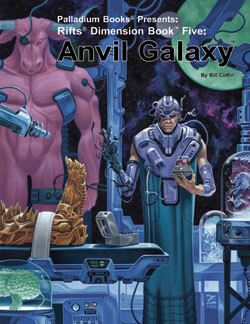 The PDF of Rifts® Lemuria also becomes available for Megaverse Insiders on April 20, 2012. See the full description of Rifts® Lemuria elsewhere in this Weekly Update. Like I said last week, bring your copy of Rifts® Lemuria to the Palladium Open House to be signed by most of the contributors. And don’t stop with Rifts® Lemuria, bring a bunch of books for us to sign. That’s one of the cool things about the Open House, it’s one of the biggest gatherings of Palladium creators anywhere, ever. Not just the Palladium staff, but 30+ other Palladium creators and personalities. The Rifter® #58 is done and at the printer. It is another great issue and includes 20 pages of additional “official” material for Rifts® Lemuria, material for Palladium Fantasy®, Nightbane® and some stuff for Rifts®. See the complete description elsewhere in this Weekly Update. The Endless Dead™ sourcebook is coming along well though a bit slower than I had hoped. I secretly wanted it to the printer by tomorrow, but it’s looking more like the end of next week. It should go to the printer next week and ships April 26. VIP Thursday has been SOLD OUT for weeks, but there have been some cancellations, which means new slots have become available. Call the Palladium Office to place your VIP order (734-721-2903). If the cancellations have already been filled, add your name and telephone number to the VIP Waiting List, so if there are more cancellations we can contact you. Available on a first-come, first-served basis, so put your name on the Waiting List right away. Join the fun for the weekend, one day, or even an evening. It is worth the price of admission just to meet and chat with the many Palladium artists and writers, get your books autographed, pick up original art, prints, game books, and all kinds of good stuff, as well as possibly getting into a game or two or even running a pick-up game yourself! This year, Palladium is offering a special $10 evening admission after 6:00 PM on Friday and Saturday – at the door only. I thought offering a reduced evening rate was a nice thing to do for gamers who want to attend, but have to work during the day. Events run till midnight or 1:00 AM at Palladium, but you can continue to game at the official Palladium Hotel into the wee hours of the night. We have two conference rooms, the largest of which can accommodate as many as 10 different “pick-up games.” If you live within a hundred miles of Palladium, you have no excuse for not coming. Join the fun! Three days of non-stop Palladium gaming (May 4, 5 & 6 – plus May 3 for those coming to VIP Thursday). Many games are run by Palladium creators! ALL EVENTS are covered by the price of admission. Saturday evening Costume Contest and Auction (starts around 6 PM). The Costume Contest (I hope we have a lot of entries this year) is always a blast and starts around 6:00 PM. At 7:00 PM is the live auction with lots of deals and rare items. Around 8:00 PM gaming resumes. Meet 30+ Palladium creators (artists, writers and staff) – This year that includes staffers Alex Marciniszyn, Julius Rosenstein, Kevin Siembieda, Kathy Simmons, Wayne Smith, Amy L. Ashbaugh (artist), Nick Bradshaw (artist), Brandon Aten (writer), Carmen Bellaire (writer), Kent Burles (artist; tentative), Matthew Clements (writer), Karli Cooper (artist), Steve Dawes (writer), Greg Diaczyk (writer), Mark Dudley (artist), Carl Gleba (writer; tentative), Irvin Jackson (artist & writer), “Madman” Mike Leonard (artist & writer), Allen Manning (artist), Brian Manning (artist), Mike Mumah (artist), Mark Oberle (writer), Noah Page (artist; tentative), Ben Rodriguez (artist), Chuck Walton (artist), Taylor White (writer), and others. Palladium creators and staff are available to you all day long. Including me, Kevin Siembieda. I’m there from 8:00 AM till 10:00 PM (sometimes later). Most of the staff and Palladium creators are available from 9:00 AM till at least 8:00 PM; some are there till we close up for the night. You will not find that kind of “access” to creators at any other gaming event or convention anywhere on the planet. Meet fans from around the world. This year that includes people from coast to coast, Canada, Australia, Japan, Germany and England. Game till you drop! Three days of non-stop Palladium gaming (May 4, 5 & 6 – plus May 3 for those coming to VIP Thursday). Many games are run by Palladium creators! ALL EVENTS are covered by the price of admission. Chat with Palladium creators at their table, attend panel talks, ask questions, and get the inside scoop on upcoming product and new releases. Pick up new and old game books, art prints, original artwork, T-shirts, and much, much more. We always debut product and have specialty items for this event. And get your books autographed. See the full description of the Palladium Open House at the end of this Weekly Update. Get your hotel room by April 12 to get lowest rate! I just spoke to the hotel manager and she said the hotel is filling up fast and not just with Palladium guests. Please make sure you place your reservation no later than next Thursday, April 12, 2012! Our block of rooms for the Palladium Open House (May 3-6, 2012) is only reserved till April 12. To guarantee you GET A ROOM and at the superior price of $69 a night (with two double beds or one king-size), you MUST reserve your room no later than April 12 and tell them you wan the Palladium Books rate. But PLEASE do so soon. a) We don’t want anyone to miss out. b) Your reserving your room NOW helps Palladium Books. c) Your card will not be charged till the day of the event. As soon as I’m done with Endless Dead™, I dive into the completion of this book. I’m still hoping to have advance copies of it in time for the Palladium Open House (May 4-6), but no promises. Sales were weird, but picked up nicely this week. They were weird in that traditional slow days were high and normally strong days were soft, but all-in-all, sales were fairly good. They could be better, but they were a definite improvement over the last two weeks. With Rifts® Lemuria shipping out, and The Rifter® #58 at the printer, I think this weekend and next week’s sales should be very good. And with Endless Dead™ going to the printer next week and shipping the end of April, I think we are looking at a strong April overall. I need to assign the artwork, soon. The cover is finished and the book is written by Matthew Clements and Taylor White and should be a quick edit. Chuck Walton will be coming by Friday to show us more concept drawings and finished pieces for Rifts® Northern Gun™. From what we’ve seen already, “good stuff” is an understatement. The Northern Gun™ books are going to be two more that will knock your socks off. HELP! Desperate NEED for written Rifter® submissions! Wayne’s file of submissions he feels suitable for publication has dwindled down to almost nothing. If we don’t receive new written material soon, we’ll have nothing to put into the pages of The Rifter®! We’re not quite sure why more fans are not submitting written material for publication. After all, The Rifter® is a “fanzine” created for YOU – fans of Palladium, players, Game Masters and budding writers (and artists). We WANT and NEED your source material submitted for possible publication. Much of the material we see submitted to the digital Rifter #0.1 and #0.2 as well as stuff posted on many fan web sites is exactly what were we are looking to print in The Rifter®. Yet, in recent months, people are not submitting them to us. 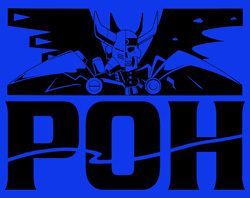 Web sites are cool, but please submit them to Palladium Books for consideration for actual publication too. Palladium has found many of its writers and artists via Rifter® submissions. 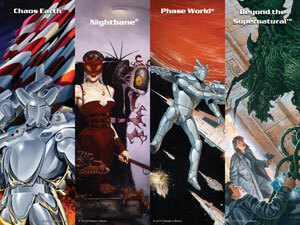 Something like half of the freelance writers and artists working for Palladium got their start in The Rifter®. It is a great way for us to try out new talent and for you to get discovered. If you’d like to see a book manuscript published by Palladium, your odds improve if we get to know you first through several articles submitted for The Rifter®. PLEASE SEND SUBMISSIONS FOR The Rifter® AND SOON! We want source material, adventures, gaming advice and tips, character sheets, etc., that are 8-25 pages long. We will consider larger submissions that can be split between two issues, but 8-25 pages are perfect. Just send raw text with bolds and underlines. Do not try to format your submission like a printed book. We always need material for After the Bomb®, Beyond the Supernatural™, Chaos Earth™, Heroes Unlimited, Nightbane®, Ninjas & Superspies™, Rifts®,and Splicers®. Don’t be afraid to submit. We are seeking new talent and new ideas. And even if Wayne doesn’t find it good enough for publication, it’s worth giving it a shot, right? Nothing ventured, nothing gained. Who knows? You might be one of our next great writers. Please consider this your personal invitation from me, Kevin Siembieda, to submit work for publication in The Rifter®. Help! Note: No, this is not the last issue of The Rifter®, but we are in desperate need for new, fun source material to publish. Game Masters, players and fledgling writers, please submit your game material. And soon! Thanks. I may be calling you! The top two tiers of the Megaverse® Insider offer for Rifts® Lemuria include a brief telephone call from me. I started calling people earlier this week and will continue to do so through the weekend and over the next two weeks. Please feel free to talk about anything from gaming and writing to films and comic books. I’ll talk to some of you soon. We will be doing more Megaverse® Insider crowdsource funding for major releases and special projects. 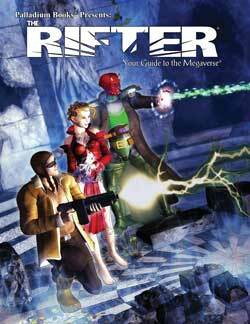 The next Insider offer will be the Rifts® Northern Gun Megaverse® Insider in Mid-May. It will very much follow the same pattern and types of items as the Rifts® Lemuria offer. Watch for it popping up on the Palladium website sometime after May 9th. The offer only lasts for about TWO WEEKS. That means “Insider” items like hardcover editions and PDFs are only available for that tiny, two week window. Join the fun, buy cool stuff and help Palladium at the same time. 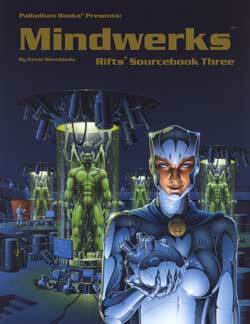 Palladium’s first crowdsource funding offer was in February to raise the funds to produce and print Rifts® Lemuria. I wanted to make the whole thing even more fun and special, so I called it the Megaverse® Insider offer and made all kinds of fun categories and products available for “Insiders” to purchase. Every “Insider” got their name listed in the book. Some purchased super-limited hardcover editions (under 200 copies of each HC), or a PDF version of the book, and other good stuff or combinations of Megaverse® Insider products. The concept is simple. A business makes a public proposal online to the very people who know and love their products, and gives them the opportunity to fund a new one. What makes this fun and exciting for the fans is they get special product and opportunities/services for their money. This way, rather than get one or a few investors contributing large sums, a company raises much smaller amounts from hundreds of people. Those people get a quick, tangible reward for their participation by way of special product or opportunities. If you get a couple hundred to several hundred people making a crowdsource funding purchase (we had 359 gamers do so! ), you can meet or exceed your goal. Crowdsource funding is becoming all the rage for financing product releases and business opportunities. Everyone was excited by the Rifts® Lemuria Megaverse Insider Offer and the end result is gamers get cool, exclusive items and Palladium gets the funds to produce major new releases. A win-win situation for everyone. Folks are loving the Palladium Fantasy® Game Master Kit – now available on DriveThruRPG.com for only $5. Gamers who loved the Rifts® G.M. Kit, will love this one too. Like its predecessor, the Fantasy G.M. Kit is written by Carl Gleba and comes with maps, combat matrix, character sheets, spell list, and 20 pre-rolled characters created by Julius Rosenstein (and used by Julius and me for years and years in games at conventions). And it is available at the same low price of $5 for a wealth of material and helpful Game Master resources. 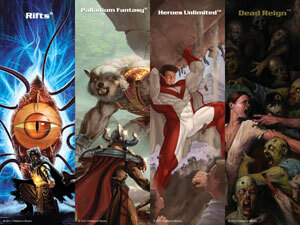 Don’t forget, DriveThruRPG.com also offers the FREE Sneak Previews of Rifts® Lemuria, Thundercloud Galaxy™, and soon, Endless Dead™, as well as 90+ back stock titles, including back issues of The Rifter®, and first edition rule books for Rifts®, Palladium Fantasy RPG®, Heroes Unlimited™, The Mechanoid Invasion® Trilogy, and lots of other good things, of which the Rifts® Game Master Kit is just one. ALL available as PDF downloads at reasonable prices. And there is MORE to come. It has been a fun experience. There has been talk about resuming gaming in June, but the library’s funding is being cut and our contact person is being laid-off, so we don’t know if we’ll be back or not. What a shame. Westland Library: (734) 326-6123 or online at http://www.westlandlibrary.org/node/3089. Alex and I have been adding all kinds of new toys and action figures to my online store. More Palladium collectibles will be added every few days. The corrected manuscript pages for Rifts® Lemuria flew out of the store, but the proofreader copy remains available. We’ll be adding more. We try to add at least a few things a couple times a week, every week. We’ll keep them coming if you keep buying them. I continue to post on a regular basis at both locations, though not as much this week, as we were busy getting The Rifter® #58 sent to the printer, working on Endless Dead™, and packing and shipping Rifts® Lemuria. The first batch of re-released Rifts® miniatures – the Glitter Boy™, CS Soldiers™, Rifts® Cyborgs, Kydian Overlord™, etc. – as individual figures at new prices will be added to the Palladium online store next week. As I had suspected, we’ve been consumed with finishing new books. The delay has been unavoidable as there are only five of us, and there has been sooooo much to do. I’ve spoken to a couple of people about it and continue to research the marketing and cost feasibility of this operation. We are definitely interested in the possibility. Probably cannot make a serious analysis of this opportunity until sometime after the Palladium Open House. Long-time Palladium fan Joseph Black Bear and his wife, Amy, recently welcomed their first child (and sure to be Palladium gamer!) into their lives. Robert Clyde Black Bear was born on February 11, 2012, at 9:46 PM at 19½ inches, 7 pounds, 9 ounces. Congratulations. I want to thank everyone who called, texted, emailed, PMed, Facebooked me on my birthday. I was feeling a bit worn out and all of your birthday wishes, good humor and kind words made me feel special and boosted my spirits. It made the entire day feel special. Thank you. Julius Rosenstein’s birthday is on Saturday, so we’re celebrating his and my birthdays with the guys on Friday evening at Kathy’s house. I got something for Julius that I think will truly be a surprise that he will love. Happy Birthday, Julius! Wayne’s birthday is next, just before the Open House, and Kathy, Alex, and Thom’s are all in June. For those of you who celebrate Easter, may you all have a sunny, warm and Happy Easter with your loved ones. For the rest of you, enjoy a game filled Spring weekend. 224 pages – $24.95 retail – Cat. No. 885. Softcover available now! The special, limited edition hardcovers ship April 20 to those of you who bought them as Megaverse® Insiders. Fewer than 200 copies were printed of each, so each is truly a collectible item. Enjoy. Rifts® Lemuria “Sneak Preview” on DriveThruRPG.com – is available right now! You can see the cover, contents pages and enticing snippets from several different sections of the book as a FREE PDF download, including one of the Bio-Armors, one War Steed, a few new Biomancy spells, and other good stuff. Don’t forget, there are 90+ back stock titles, including back issues of The Rifter®, and first edition rule books for Rifts®, Palladium Fantasy RPG®, Heroes Unlimited™, The Mechanoid Invasion® Trilogy, and lots of other good things, of which the Rifts® Game Master Kit, is just one. ALL available as PDF downloads at reasonable prices. And there is MORE coming. The Palladium Fantasy® Game Master Kit, The Rifter #0.1 and #0.2, maybe some PDF only sourcebooks, an Endless Dead™ Sneak Preview and other sneak previews and fun stuff are all coming your way. Rifts® Lemuria “First Look” Video Review. Carmen Bellaire and William Johnson were given the unfinished manuscript page files and a small selection of artwork – in advance – so they could do a First Look Video Review of Rifts® Lemuria. There is so much good stuff to talk about that the guys had to split their review of Rifts® Lemuria into two episodes to cover it all. They have reviews of other Palladium products, too. It is all on YouTube for your viewing enjoyment right now. The views expressed are those of Carmen and William, not Palladium Books. Cover by Michael Leonard. At the printer. 96 pages – still only $11.95 retail – Cat. No. 158. April release. The name Endless Dead™ says it all. The zombie hordes grow in number and strangeness. Can humankind survive? Where is the military? What’s next for the survivors of the zombie apocalypse? This book contains horrifying new zombies to haunt your player characters along with new O.C.C.s and tons of tables for detailing Survivor Hideouts, Safe Haven Communities, Death Cults and more. Survival is not enough. Now is the time for the war against the Endless Dead™. This book is epic. 96 pages – $16.95 retail – Cat. No. 233. April release. The Rifter® #58 – New – at the printer. 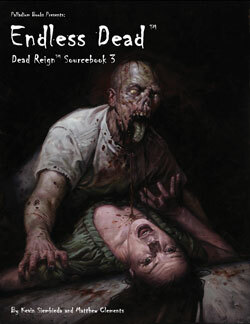 Dead Reign™ Sourcebook Three: Endless Dead™ – New – in final production. 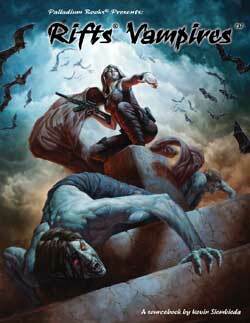 Rifts® Vampires Sourcebook™ – New (will try for end of April release, but seems unlikely). ● The price of admission includes ALL events – games, panel talks, the whole nine-yards. The hotel is inexpensive ($69.00 for a double-bed till April 12, 2012, reserve your room today!) and is a short drive away. ● Expanded open gaming area. ● Palladium Creators scheduled to be at the 2012 Open House: Amy Ashbaugh, Thom Bartold, Carmen Bellaire, Nick Bradshaw, Jeff Burke, Kent Burles, Braden Campbell, Matthew Clements, Steve Dawes, Greg Diaczyk, Mark Dudley, Carl Gleba, Jeffry Scott Hansen, Irvin Jackson, Michael Leonard, Allen Manning, Brian Manning, Alex Marciniszyn, Mike Majestic, Mike Mumah, Mark Oberle, Apollo Okamura, Noah Page, Ben Rodriguez, Julius Rosenstein, Kevin Siembieda, Kathy Simmons, Josh Sinsapaugh, Wayne Smith, Taylor White, Charles Walton, and others! Past Palladium Open Houses have had as many as 40+ creators and gaming personalities under one roof. ● Enjoy panel discussion with Kevin Siembieda and other creators. NEW! $10 Friday & Saturday Evenings ONLY: Available at the door after 6:00 PM. Visit till closing, join pick up games and maybe get into games that still have open slots for players. Meet creators, get autographs, enjoy panel talks, pick-up new releases and back stock items, original art, prints, miniatures, T-Shirts and other good stuff. Saturday Evening after 6:00 PM: Enjoy the Costume Contest (starts around 6:00 PM), live auction (7:00 PM). 8:00 PM gaming, panel talks and chats resume. The special Palladium hotel rate is $69.95 plus tax per Double or King room, till April 12, 2012. Two double beds or a single king-size bed. Large meeting room with tables and chairs for six additional games for all-night gaming.